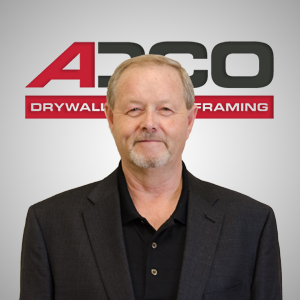 Larry started his career working at a local lumberyard in sales at the age of 19. Four years later, Larry moved into estimating and construction management of multi-family and light commercial, starting in Calgary and then moving to Vancouver, with the largest of his projects consisting of a 995-unit subdivision in Calgary, which included multi-family rentals, condos for sale and light commercial. At age 30, Larry moved to the US to work for Grier Doors USA, Inc. (interior millwork and siding subcontractor) for 9 years as a project manager responsible for numerous jobs, from Kansas City to Florida, with as many as 10 jobs going at one time. His responsibilities included everything from sales, estimating, hiring of staff, cost control, quality of work and subcontract negotiations. After leaving Grier Doors, Larry managed a Building Center in Central Arkansas for three years, managing its day-to-day operations. From there, Larry moved to Seattle, Washington as an area manager, and five years later, was promoted to V.P. for Liquidation World (LWI). Liquidation World was a discount retailer with 100+ outlets in Canada, with another 25 in the US. This company acquired its inventory through man-made and natural disasters, as well as opportunity buys. Over his 14 years with LWI, Larry was involved in the buying, logistics, opening and closing stores and spent the last seven years directing the liquidation services side of the business responsible for conducting on-site store closing sales. During his time there, he helped close in excess of 300 stores for Rite Aid Corp. from coast to coast. I am very excited to be working with Ken again after 22 years and nothing has changed. He is still as demanding as ever and has not slowed down one bit—in fact I think he has found more energy as he has gotten older. Great to be back with Ken.